These are the adventures of James Kollins: greedy, petty, selfish captain of the galactic warship DeVille; a man obsessed with the holodrama Captain Courageous and the Women Who Love Him; a man completely unforgiving of his much-maligned first officer. A man who has just met the Creator of the universe, though he doesn’t quite realize it yet, and whose life is about to change in ways he never dreamed possible, though he doesn’t quite know it yet. Find out what happens when an overgrown child in charge of a large military ship, and sadly lacking a conscience and possessed of a strange sense of humor, comes into contact with God Himself, who isn’t above playing a few tricks of His own. You’ll be plunged into interstellar war and ultramodern espionage, witness textbook-poor diplomacy and longstanding family feuds, and even encounter a seemingly evil empire of cute babies. It’s a safe bet you’ll laugh while reading this book; a virtual lock you’ll crack a smile or twenty; and inconceivable that you won’t groan and shake your head on a regular basis. 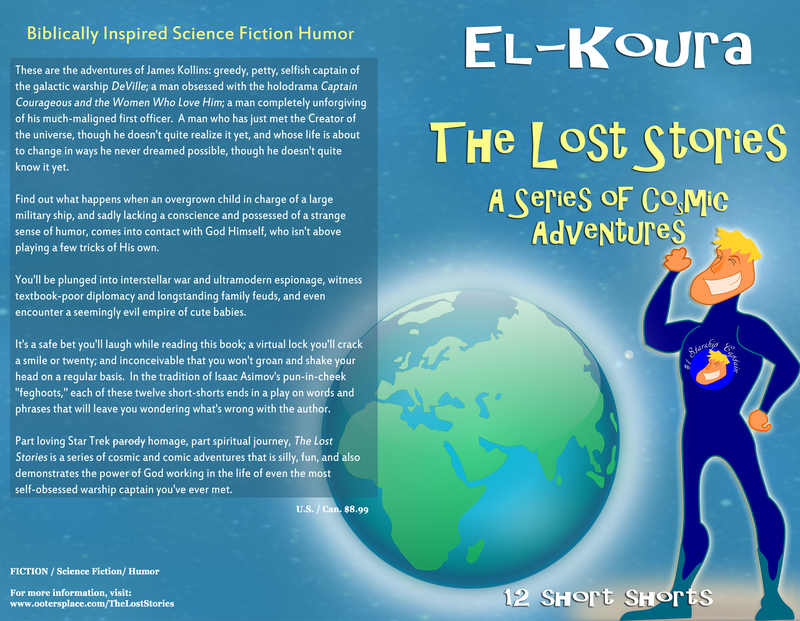 In the tradition of Isaac Asimov’s pun-in-cheek “feghoots,” each of these twelve short-shorts ends in a play on words and phrases that will leave you wondering what’s wrong with the author. 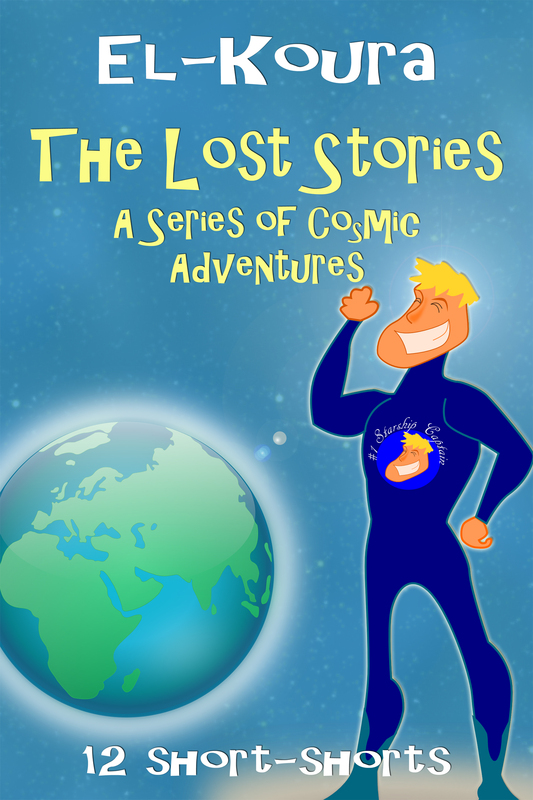 Part loving Star Trek parody homage, part spiritual journey, The Lost Stories is a series of cosmic and comic adventures that is silly, fun, and also demonstrates the power of God working in the life of even the most self-obsessed warship captain you’ve ever met. Amazon.com , Amazon.ca, or Amazon.co.uk . Smashwords (for owners of Nook, Sony Reader, Kobo, and other ereaders). 12 flash fiction short stories, each ending in a pun. Also includes an introduction by the author.